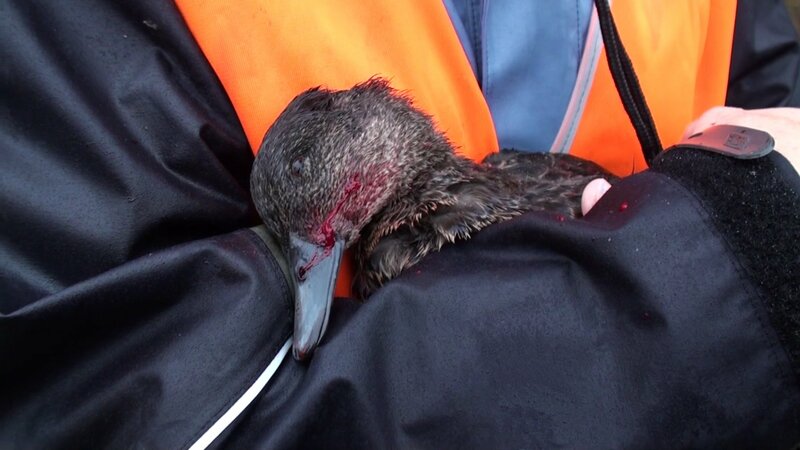 The opening of the Tasmanian recreational duck shooting season next weekend will see the biggest turnout of duck rescuers in many years. 40 duck rescuers will gather at Moulting Lagoon as part of “Duck Lake” – a visual extravaganza in which a troupe of dancers dressed in hot pink tutus will perform a choreographed routine to music from Tchaikovsky’s Swan Lake, while costumed rescuers on foot and in kayaks will make their way around the lagoon deterring ducks from the shooters guns with sparkly, hot pink flags and windsocks. Nine months in the making, “Duck Lake” has attracted over $10 000 in crowd funding, and was supported by over 60 Tasmanian Artists who made duck artworks as part of the crowd funding campaign. “I’ve been going up to the opening of duck shooting season as a duck rescuer since 2003 and I have been thinking about staging an event like this for years. It’s been a huge amount of work but the ‘Duck Lake’ team, who I like to think of as the ‘duck mofos’ have done an incredible job in pulling all this together. I am so grateful to the many, many people who have supported this project in one way or another. More than anything we are concerned at the horrific suffering that comes from blasting innocent waterbirds from the sky. We see it every time we come out here during an open shooting season. We also know native ducks numbers are way down and breeding has been non-existent because of the dry, so that’s an added concern. Astoundingly, Parks & Wildlife are allowing the killing of native ducks to start on the very same day they are celebrating World Wildlife Day in another part of the state. We really believe duck shooting should be banned.